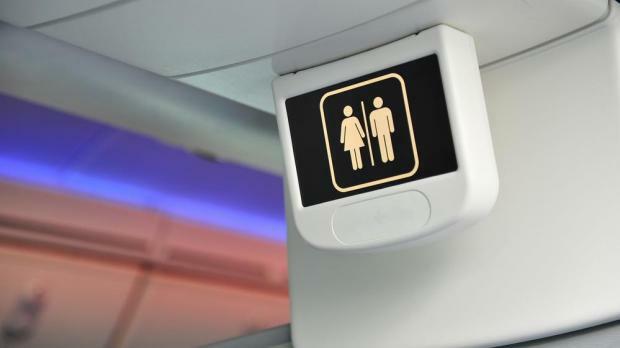 Passengers aboard a six-hour flight from Phoenix to Hawaii were told to pee in bottles and rubbish bags after the toilets onboard started overflowing with human excrement. The bizarre request was caught on camera by a woman passenger, who could not quite believe what she was being asked to do. “I know, it’s horrible. And guys are going in bottles,” the flight attendant tells her. Problems with onboard toilets were caused by an inconsiderate passenger trying to flush a soiled nappy down the toilet, 12 News reported. The nappy clogged onboard plumbing and led to an overflow of excrement. “You could see the passengers looking at each other in disbelief,” the woman who shot the video said. American Airlines subsequently issued a statement apologising to the 187 passengers aboard and said it was reaching out to affected passengers individually.